I first posted this essay two years ago. But this blog has acquired many new readers since then, and I thought the piece deserved a second chance in the sunlight. I present it here, unchanged aside from a little punctuation. Dinty Moore’s Brevity has published an excellent essay by Cynthia Newberry Martin on sentence-craft. If you’re interested in good prose, either as a reader or writer, you should take a look. Yet, while I enjoyed the advice that Martin offers, something about her essay worries me. Essentially, the writers she cites (Michael Cunningham in particular) are proposing a particular standard by which to judge fiction writers: if you cannot write good sentences, you are not a real writer. My question is, firstly: why? And secondly: if we do accept the central importance of prose style in literary fiction, what costs might come with such a choice? Martin provides us with a central document on the importance of style: Michael Cunningham’s explanation of his role in the Pulitzer fiction jury. I was the language crank, the one who swooned over sentences. I could forgive much in a book if it was written with force and beauty, if its story was told in a voice unlike anything I’d heard before, if the writer was finding new and mesmerizing ways to employ the same words that have been available to all American writers for hundreds of years. I tended to balk if a book contained some good lines but also some indifferent ones. I insisted that every line should be a good one. I was — and am — a bit fanatical on the subject. In other words: if you want a shot at the Pulitzer prize, your prose style must meet Cunningham’s standards. And he is not as alone or cranky as he suggests. I could list many more essays and manifestoes that make similar claims to his (I have mentioned a few in this book review). So Martin is completely right that a focus on sentences is a central concern for contemporary literary writers. She is also completely right to offer aspiring writers tools that might help them attain these stylistic standards. The question remains, however, whether such a focus on sentence-level aesthetics is, overall, healthy. Because if we take Cunningham’s self-explanation seriously, it starts to look a little concerning. It must be noted, for instance, that Cunningham’s standard for literary fiction is explicitly elite and writer-centric. 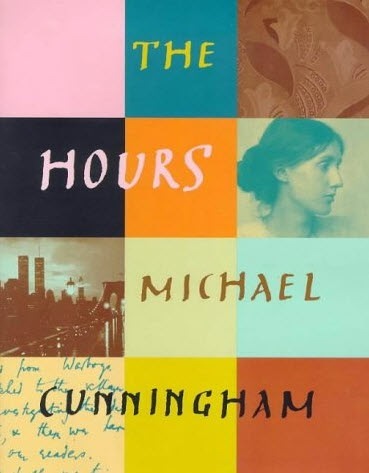 In order to be able to apply Cunningham’s rule to a novel, you must be extraordinarily well-read, able to compare a new novel to the “hundreds of years” of American writers that preceded it. You have to have an understanding of prose so comprehensive that you can recognise a particular author’s voice as new. So, if we accept such a rule, we must also accept that non-writers can have no idea why certain books win the Pulitzer. Even MFA students and aspiring amateurs will never be adequate judges of the history of American prose style. Of course, if that’s the only sensible way to think about fiction, then complaining about its exclusivity rather misses the point. Who cares about elitism if the elite gets it right? Even the books he likes need to be forgiven! In order to evaluate whether well-wrought sentences are indeed vital to good fiction, there’s a basic question we have to answer first. What is the value of good prose? In other words: if, as Michael Cunningham says, “indifferent” prose damns a book, what is so valuable about good prose? What does it do? Why is it important? One could certainly claim that good writing and flawless prose are inherently co-dependent. If you are a real writer you have flawless prose — and vice versa. The difficulty comes when we re-read The Great Gatsby, and notice all its adverbial dialogue tags. Do we then claim that those crowds of “-antly” adverbs make the novel worthless? I’m not hoping, by asking this question, to disprove the value of prose style. I believe style matters a great deal. I love Virginia Woolf, William H. Gass, and James Baldwin at their most ambitious, their most baroque. I experience their sentences not simply as a pleasure: their writing seems to lift me into a heightened, more adoring state. As if the direct experience of beauty increases one’s capacity for experiencing it. Elevated prose elevates its reader. If this is true, and I hope that it is, does that mean that among a page of celestial periods, one plain sentence will send us crashing out of heaven? The sentence adherents seem to be claiming so: heightened language must stayed heightened at all times, or the magic fails. then I must be sure to come back and revise it later. Perhaps, for the first of those four sentences, I need to move “now” to the end, or to the middle. But whatever I decide, the key is that, as Martin says, I must avoid such “utilitarian” sentences; sentences which merely move us from A to B. The complication, of course, is that those four sentences come from writers quite respected for their style: Nabokov (Pale Fire), Coetzee (Elizabeth Costello), Robinson (Home), and James (Portrait of a Lady). Did they get it wrong? Should an editor have caught these howlers before the books went to print? I don’t think so. If literary prose is a pleasure and a heightening of consciousness, then perhaps, like many other heightening pleasures, it ideally moves up and down in intensity, rising and falling in waves, fading away only to come back stronger. The best restaurants do not employ one waiter to hold your mouth open while a second jams food down your throat for twenty minutes without pause; that would not be enjoyable. No: there are separate courses, expository introductions, breaks for conversation. The meal has a rhythm. And the same is true for a symphony: you generally expect the music to build up to its crescendo, not have it blast you in the first bar. Perhaps masterful prose style is like that, too. Perhaps some sentences are indeed meant to be enjoyed as complete dishes, ornate and surprising and deep. But perhaps, at the same time, some sentences really are just functional: they serve the perfectly respectable purpose of getting us from one height to the next. They make those heights mean something; they make them visible. To demand that such sentences stand alone as coherent art-objects is perhaps to ask of narrative prose something it isn’t meant to deliver. I agree with Martin that prose should not be “slack.” I disagree that prose should never be “utilitarian.” Few people would accuse The Sound and the Fury of being a utilitarian book, but when Jason wants to get in his car, Faulkner just has him say that he is getting in his car. Simple language for simple things. Similarly, in Portrait of a Lady, when Henry James wants a functional, plot-turning scene, he writes relatively plain sentences and a lot of quick dialogue. It’s what the scene needs. When he wants to illuminate deeply hidden truths about the torments of the human condition, well, then he reaches for more advanced stylistic techniques. James doesn’t seem to care that, in the moments when he isn’t trying very hard, his prose isn’t too different from John Grisham’s. There is a difference, therefore, between “loving good prose” and “reading for the sentence.” Martin is right that every sentence should be “good.” There certainly should be, as she says, a bar to not slip below. But I worry, if we are reading for the sentence, that this bar will have a tendency to rise and rise — and rise. Who really knows, after all, what Michael Cunningham considers an “indifferent” sentence? Who truly feels confident that each line she writes is “new and mesmerizing”? The more anxious we become, the higher we will have to place that bar, just to be on the safe side. Because you don’t get a second chance if Cunningham’s reading. He isn’t reading for the plot. It’s possible to see such bar-raising even within Martin’s essay. We were each locked inside our individual sorrows, didn’t know each other well enough to share, but we agreed, out loud, that like moose, pelicans were surely put on earth to act as suicide preventers, agreed we’d never kill ourselves within the sight of one. This sentence is a tour de force. I admire it greatly. But I wouldn’t want every single sentence in a novel to try to match it. And were it any more complex, a non-professional reader would need genuine effort to comprehend it. Yet Martin’s essay presents both of these sentences as equally worthy candidates for “good.” Within a few paragraphs, the standard of “good” has drastically risen, risen to where one’s potential readership is starting to dwindle. In our anxiety about the quality of our prose, we may be building an increasingly tight straitjacket for our art. At what point does sentence-anxiety start to interfere with the other tasks of novel-writing? At what point do we stop writing certain scenes, actions, characters, voices, genres, because it is just too hard to evoke them beautifully and uniquely? Faulkner seemed to think it was okay to have a guy just get in his car; we are wiser than him, and know better. A wonderful essay, Daniel. Thanks for sharing it again. I am daunted by the challenge of writing a comment that is worthy of the above. I feel I am doomed to failure…and in the depths of winter, there is a dearth of pelicans to keep me from my inevitable conclusion. I sometimes feel as if we are merely a group of stupid people currently occupying this planet. We put so much bearing on awards, mentions, titles, etc.etc. To boring etc. That we forget what life is about. It’s about living and living well. It’s about loving and allowing others to love us. It’s about bettering ourselves instead of boosting of our accomplishments. It’s about living such an extraordinary life that when it ends, we’re singing at the top of our lungs. Fiction is meant to pass on principles, ideas, thoughts, opinions, or life lessons. It shouldn’t be about the structure of the sentences but about the characters that we allow into our lives. When we lose what fiction is meant to be about, then we miss the chance to learn. We miss the chance to grow. For the best fiction will make us cry. Laugh. Love. Give. Stop. Change course. When we lose that, we lose the ability of changing our own lives because we now lack imagination. And our lives lack the magic of being alive.